Recently, I dated a man who approved of me. He didn’t like me, exactly, but he approved. We got along really well. We shared a similar family background and interest in post-secondary education. We were the same age, laughed at the same things, and enjoyed some of the same music. He was delightful company and we had several dates that lasted all through the days and into the evenings. The first time he came to my house, he looked in my fridge and approved of the fruits and vegetables I had in there. He approved of my basement, too, but I think that was because it is sparsely furnished and his ex was a hoarder. He looked at my cd’s and approved of my collection. He commented on the fact that I did not keep all the books I read, and he approved. I liked him a lot; still do, really. I made the mistake, though, of thinking that his approval meant that he liked me but it turns out he just, well, approved. It’s not the same thing. Today I passed a lovely house that had everything; double garage, stone facing, impressive front door, a stained and polished driveway, tasteful landscaping, you name it. It also had artificial turf. 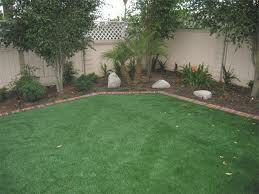 I understand why a person would lay artificial instead of real turf. No watering. No mowing. No fertilizing. No weeds. No problems with pet poop. Fabulous. I approve–but I don’t like it. Am I comparing myself to artificial turf? No! Since I want more than just approval from a partner, I’m comparing myself to Kentucky Bluegrass instead.